Awaiting guests is an evening of wine tasting and traditional folkloristic entertainment. 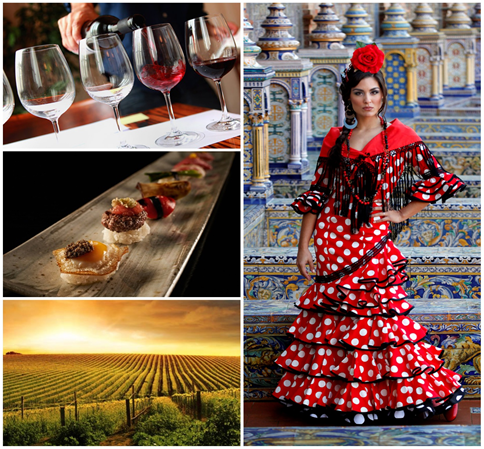 Come and learn how the terroir and climates produce fascinating nuances of flavour from classic grape varieties, whilst enjoying an impassioned professional performance of flamenco dancing. Our guest expert Alan Montague-Dennis from Mentzendorff will guide you through to find your favourites. The tasting session will be accompanied by a superb selection of warm and cold tapas.